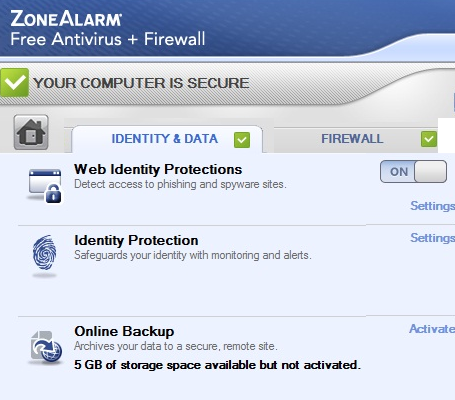 Zone Alarm Free Firewall 2012 is a complete PC protection solution that comes free of cost. As we know that today’s world of computers is so prone to hackers, attackers, virus, malware etc. that we are bound to install a good antivirus at least but an antivirus can’t do all that is required as it can’t stop hackers to break into your system. Moreover, among all the operating systems, Windows is the one which is most vulnerable although it comes with an inbuilt protection but with less strength. So here comes a need of complete solution which gives you protection against spyware, malware, virus, trojans, hackers etc. 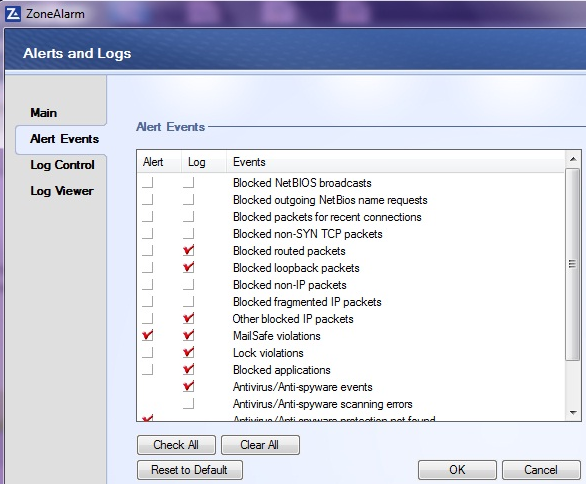 Zone Alarm Free Firewall 2012 will do that for you. Zone Alarm Free Firewall 2012 has two way firewall which makes your PC invisible to hackers and stops spyware from sending your data out to the internet and its ZoneAlarm Security Toolbar gives security information about sites you visit and much more. It is quite easy to install and more effective. It will not slow down your system and sits quietly in system and is more automatic. Community DefenseNet leverages real-time threat data from millions of users to detect the latest attacks. Now there is identity protection service in Zone Alarm Security Toolbar for Internet Explorer and Firefox. 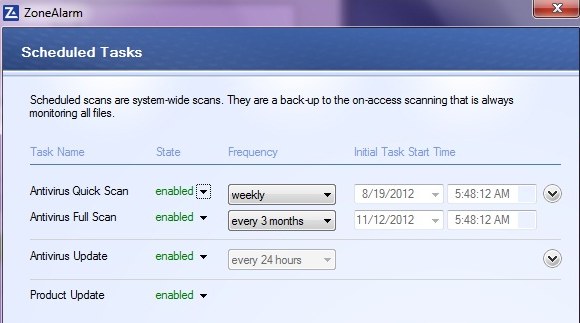 New version also has online Backup services (2GB free) in Zone Alarm Security Toolbar. Firewall is a program that protects your computer from intruders at very first layer. This is the first security layer that a virus or any other malware will face when it tries to hit your system. Firewall detects malicious behavior at the very beginning and bounces the intruders back. Zone alarm has a strong firewall protection. Two way firewall security firstly makes your system invisible to hackers and secondly stops spyware from transmitting your data out to internet. You can check with the screenshot that how traffic to and from your computer is monitored for the suspicious behavior with the multiple settings. This feature of Zone Alarm Free Firewall will protect your computer from various malicious sites that break into your identity and data and then misuse it. In this, there is spy site detection, advanced anti-phishing detection, site security check and identity protection services which protect your computer. Spy site detection means detecting the site which is trying to spy your system and then blocking this site. Anti-phishing detection means detecting the fishy ways by which hackers try to steal your identity and block them. Identity protection has become a major issue as everybody is using computer for their important financial and professional works. Zone alarm will give you complete data and identity security. With Automated Program Security Zone alarm will raise fewer alerts than other such programs because it is programmed to detect and remove malware or virus by itself without asking for your permission every time. Zone Alarm Free Firewall is smartly automated to do the work that it is meant for. It will not always trouble you with raising alerts, instead it will automatically finds the solution to the problem and that too quietly. It keeps working at the back-end and you enjoy seamless security in your system. 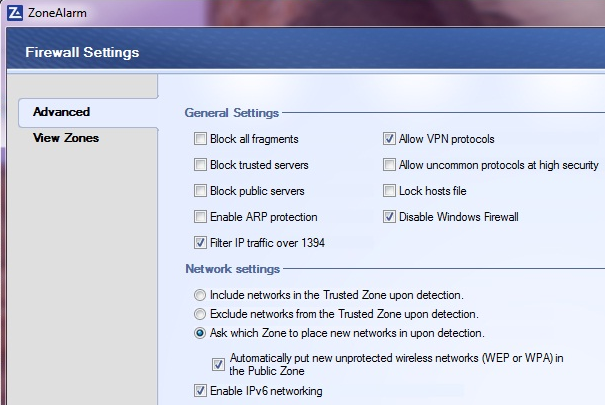 Zone Alarm Free Firewall is compatible with antivirus software. It protects your PC against virus and spyware. It detects and removes virus and spyware. Plus you can always do settings as per your requirements as the picture below shows. For higher level of security against intruders, you can combine it with a stronger antivirus solution and make your system more secure and less vulnerable to problems. This feature of the program will let you schedule your scans and updates as per your requirements. Click tools option and move into task scheduling as per screenshot. You can select regular scans or customize the scanning process. You can even select quick scan or full system scan accordingly.